I just have to come out and say this since nobody else seems to be willing to talk about it. Why has nobody suggested the possibility of ISRAEL being responsible for these attacks? We all know that Israel is heavily involved in developing this weaponry, including what the U.S. generates since Israel controls the U.S. government. Isn’t it time to call a spade a spade. Sheesh! Let’s get real people. Here are some links to explore regarding Israel’s use and development of wicked RF/microwave/millimeter wave and ultrasonic/infrasonic technologies. In an article entitled “15 Ways That Israel is Changing the World” – the following are listed as some of the brilliant offerings coming out of israel. Since 2016, dozens of American officials have come home from Cuba and China with unexplained brain trauma. Evidence shows it may be the work of another government using a weapon that leaves no trace. In 2016 and ’17, 25 Americans, including CIA agents, who worked in the U.S. Embassy in Cuba suffered serious brain injuries causing impaired vision and memory loss among other persistent symptoms. Now, we’ve learned that at least 15 American officials in China suffered unexplained brain trauma soon after. The FBI is now investigating whether these Americans were attacked by a mysterious weapon that leaves no trace. Over many months we have been collecting evidence of what appears to be a hostile foreign government’s plan to target americans serving abroad and their families. 60 Minutes Overtime: Is an invisible weapon targeting U.S. diplomats? Mark Lenzi: For me it was November of 2017, when I started to feel lightheaded a lot. I was getting more headaches, my wife was getting headaches too. Mark Lenzi is a State Department security officer who worked in the U.S. Consulate in Guangzhou, China. He says that he and his wife began to suffer after hearing strange sounds in their apartment. Then, picture if you had like a six foot in diameter funnel, metal funnel. The sound that marble would make as it goes around and it progressively gets faster as it gets, goes down towards the hole at the end. It’s a sound like I’ve never heard before.Scott Pelley: Was this subtle? Like, “Did I hear that?”Mark Lenzi: No. It was, it was actually somewhat loud. I heard it about three or four times. Always in the same spot. Always over my son’s crib and always right before we would go to bed. Lenzi wears prescribed glasses because sensitivity to light is among his persistent symptoms. Mark Lenzi: The symptoms were progressively getting worse with me. My headaches were getting worse. The most concerning symptom for me was memory loss, especially short-term memory loss. Mark Lenzi believes he was targeted because of his work. He uses top secret equipment to analyze electronic threats to diplomatic missions. Mark Lenzi: There is no shadow of a doubt in my mind that this was a directed attack against my neighbor and I. His neighbor was Catherine Werner, who lived one floor up. She’s a U.S. Commerce Department trade officer who promoted American business from the Guangzhou Consulate. Catherine Werner: I woke up in the middle of the night. I could feel this sound in my head. Um, it was intense pressure on both of my temples. At the same time, I heard this low humming sound, and it was oscillating. And I remember looking around for where this sound was coming from, because it was painful. Scott Pelley: When did you first notice that you weren’t feeling well? Catherine Werner: October of 2017, I started to get hives all over my body. Really bad hives. I woke up with headaches every day. Um, I started to feel tired. The simplest things would just make me very, very tired. Scott Pelley: Were these symptoms growing worse over time? Catherine Werner: They were. Yes. My symptoms would get so bad that I would throw up, or I would wake up with nosebleeds. She says even her dogs were throwing up blood. Werner assumed her illness was connected to China’s toxic smog. She didn’t know it at the time but her symptoms were the same that American officials in Havana had suffered since 2016. The U.S. Embassy there is all but closed as a result. Catherine Werner: We hadn’t heard about what happened in Cuba. I mean, there were headlines in the news about hearing loss and um, attacks to our diplomats, but we didn’t know the details. Catherine Werner became so ill, her mother traveled from the U.S. to live with her. Catherine Werner: She spent almost three months with me. During that time she also got very ill. Um, and she and I shared the same symptoms. Scott Pelley: What sort of symptoms did your mother have? Catherine Werner: Headaches and um, ringing in our ears. Um, we also started to both um, have difficulty recalling words. After reporting her experiences, Werner was medically evacuated to the U.S. for treatment. U.S. agencies are investigating, but Mark Lenzi has a theory. Mark Lenzi: This was a directed standoff attack against my apartment. Scott Pelley: It was a weapon? Mark Lenzi: Oh, of course it was a weapon. Scott Pelley: What sort of energy is this that we’re talking about? Mark Lenzi: I believe it’s RF, radio frequency energy, in the microwave range. Scott Pelley: When you look back across your career is there any incident that leads you to believe that it could be responsible for your Parkinson’s disease? In the 1990’s Beck and an NSA co-worker were on assignment overseas. Years later, he says they developed Parkinson’s Disease at the same time. Mike Beck: In 1996 a colleague of mine, Chuck Gubete, and I traveled to a hostile country and worked there for about a week. And um, I can’t say where the hostile country– the identity of it. Scott Pelley: Because it’s still classified? Mike Beck: Yes. I had a pretty good working knowledge of the hostile country’s intelligence services, what they do to people, what they have done, what their modus operandi is. Mike Beck says more intelligence has come in recently which he shared in a classified briefing with congressional investigators. Scott Pelley: Mike, you can’t discuss any of these details because they’re all classified. But in your opinion, does the new information that you briefed the House and Senate Intelligence Committee staff on in any way relate to what happened in Cuba and China? Mike Beck: It’s relevant to the Cuba and China cases. No one has officially confirmed that what Beck says happened to him is related to at least 40 Americans injured in China and Cuba. While Beck suffers from Parkinson’s the recent patients are being treated for the same kind of symptoms that doctors would expect from a concussion. Dr. Teena Shetty is Mark Lenzi’s neurologist. Dr. Teena Shetty: So Mark initially came to me reporting symptoms of headache, memory loss, sleep difficulties, emotionality, and irritability. Scott Pelley: And what did you make of that in the early days? Dr. Teena Shetty: I was very surprised. He did not have any history of any trauma or blow to his head, but he reported a constellation of neurologic symptoms which are characteristic of mild traumatic brain injury, without any history of associated head trauma. Exactly how their brains were injured is the subject of a study at the University of Pennsylvania Center for Brain Injury and Repair. Dr. Shetty is not part of that study, but her patient, Mark Lenzi, is. Dr. Teena Shetty: The presumption is that something happened which caused a functional brain injury of widespread brain networks because he has symptoms to reflect a multitude of brain networks. What Dr. Shetty describes mirrors the findings published so far by the University of Pennsylvania study. Robyn Garfield: They have said that our symptoms are exactly what they saw in Cuba, and that we have the full suite of findings that they had there. Robyn and Britta Garfield are among the 40 patients enrolled in the University of Pennsylvania study. Like Catherine Werner, Robyn Garfield is a trade officer with the Commerce Department. He was posted with his wife and two young children in Shanghai. Robyn Garfield: I don’t know when the sound started. Um, I do know that it was for months on end. Britta Garfield: I was sitting next to Robyn and something I felt like hit me from the left side. Um, and at first it felt like an electric shock um, and then it paralyzed me, so I was not able to move or speak. Scott Pelley: It hit you so hard you felt like you were in danger in the room? They say the children suffered blurred vision and loss of balance. Scott Pelley: Your daughter was literally falling down? Robyn Garfield: Yes. She fell down multiple times that day. Britta Garfield: We went on a walk and she just fell on her face. It was very abnormal. She never does that. And then a second time she completely lost her balance and just fell to the side. Last spring the secretary of state, Mike Pompeo, confirmed the case of Catherine Werner. U-Penn found her brain injuries matched the Cuba victims. Mike Pompeop on May 23, 2018: We had an incident in Guangzhou that the medical indications are very similar and entirely consistent with the medical indications that have taken place to Americans working in Cuba. Mark Lenzi: They tried to deny it. They tried to cover it up. They tried to minimize it. Scott Pelley: Why would the State Department minimize this? Mark Lenzi: Because it’s China, because we have such a large trade relationship with them. You can push around Cuba. Their trade, you know, relations are minimal. With China, that’s a different beast. Right? State Department doctors told Robyn Garfield his illness stems from a baseball injury 17 years ago, which does not explain his wife and children. Robyn Garfield: It is a very complicated geopolitical relationship between the U.S. and China. So that, to me, feels like why this determination’s being made. Scott Pelley: What does it mean for your benefits today that the State Department is refusing to call this an attack? Robyn Garfield: It has significant impact on our, our life. Our finances. My career as well, likely. I have not been afforded time for my rehabilitation. Being classified as a preexisting injury means that I don’t have access to paid leave. It also means that after one year my medical bills will not be covered currently. The State Department declined an interview, but in a statement to 60 Minutes it said, “We will continue to provide our colleagues the care they need, regardless of their diagnosis or the location of their medical evacuation.” A State Department official told us that the Cuba patients are victims of an attack. But State hasn’t made the same determination for the China patients. The department has asked the National Academies of Science to assist in the medical investigation. The FBI is also investigating. Intelligence sources told us that in addition to Cuba and China, Russia is a suspect. 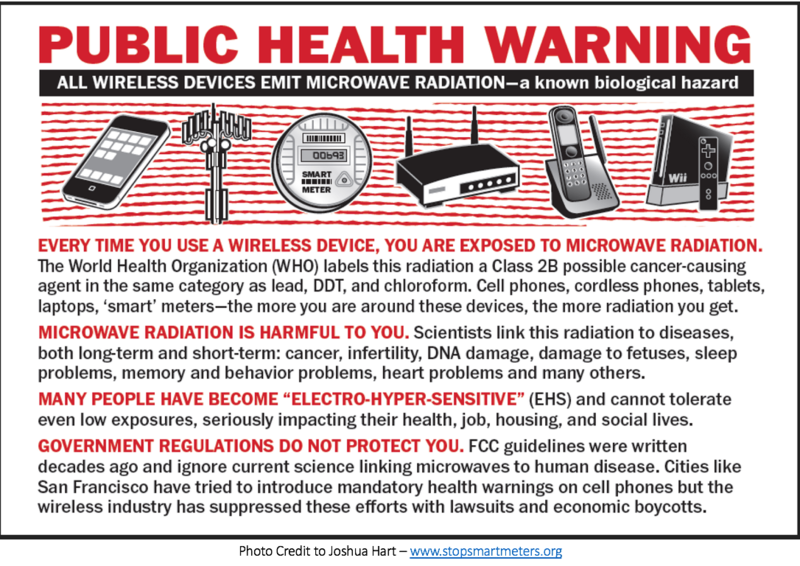 But if microwaves were used, the technology is not rare. It could be more than one country is using it. U.S. Intelligence is still debating what caused the injuries. Scott Pelley: You were in harm’s way and you didn’t know it. Catherine Werner: Exactly. I didn’t know it, and I’m afraid that others may be in harm’s way and may not know it. I don’t know what the future looks like for me. But I would do anything in my power to prevent this from happening to somebody else serving their country. Americans are not the only ones who have been attacked. According to the Canadian government, 15 Canadians were injured in Cuba, including diplomats and their families.